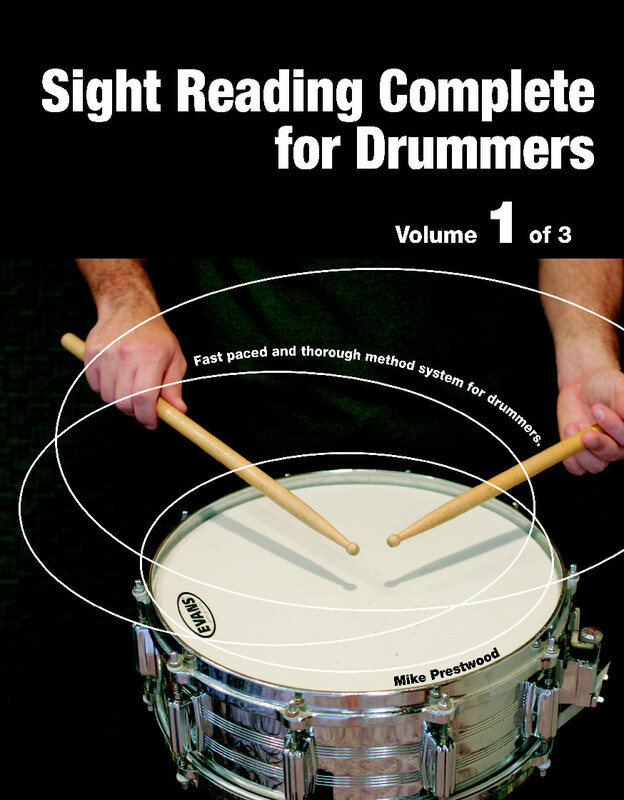 Book 1 is the ideal learning tool to help you prepare for all styles of drumming. Book 1 uses orchestral snare as a precursor to playing drum set, rudimental snare, timbales, or any other percussion instrument that uses drumsticks. Book 1 covers the basics of drumming including grip, technique, how to build chops, sight reading, timing, meter, and musicianship. Each lesson explores rhythm and various aspects of drumming. 275 downloadable MP3 files to play along with - Awesome system, improve your timing! The first 16 pages of the book Sight Reading Complete for Drummers, Volume 1. 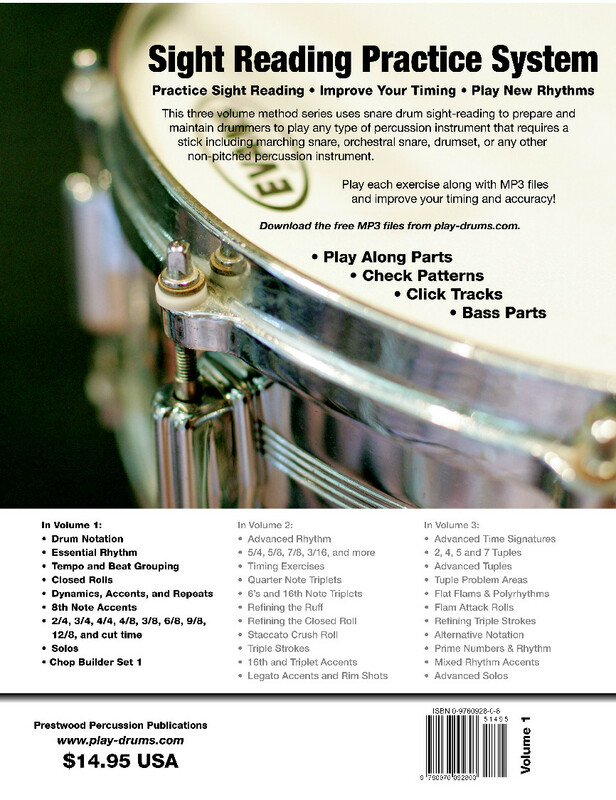 These pages contain introductory material on reading drum music, technique, timing, and musicianship.